Curious to see the mayhem behind the felting magic? Come visit my home fiber studio at 693 Canaan Street, in beautiful historic Canaan, New Hampshire this weekend! 10am – 5pm Sunday, November 8, 2009. See how my hats are made, and custom design your own embroidery to match your favorite winter coat. 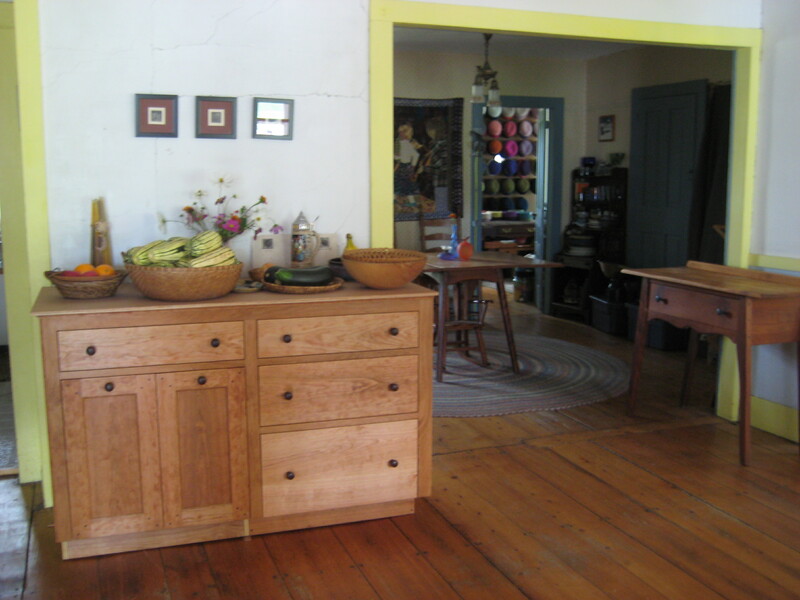 Andy's gorgeous shaker-style cherry cabinets for our 1840's kitchen renovation. I’ll have some warm apple cider on the stove, and we can talk gardens, too, as well as admire the new cherry cabinets Andy made for our kitchen remodel (gorgeous, eh?). For printable maps & more information about other artists in the Dartmouth area, visit the NH Open Doors website. I hope you can visit! This entry was posted in Fine Craft, Home, Travel, Upper Valley and tagged Exhibits, Fine Craft, League of NH Craftsmen, lnhc, nh open doors by Carrie Cahill Mulligan. Bookmark the permalink. Oh, I would love to come and visit. 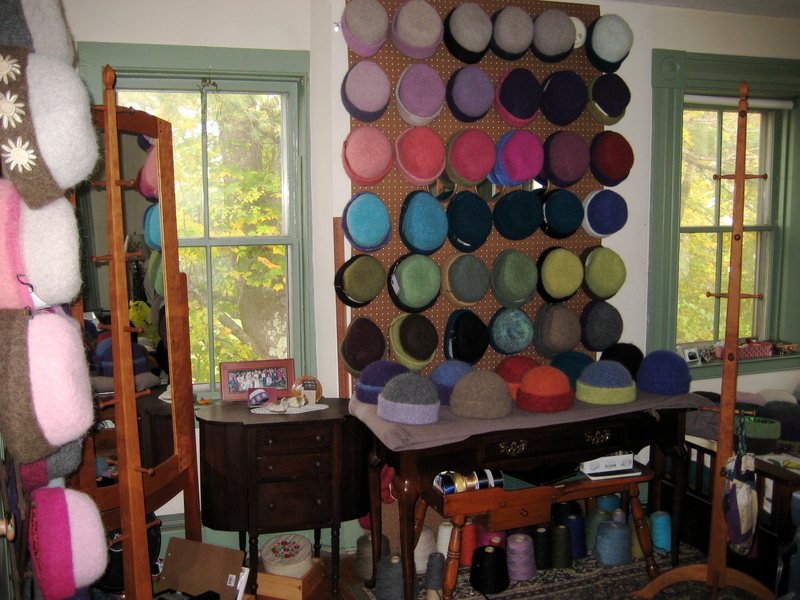 You’re house looks to be filled with old and new history as well as your awesome hats. Beautiful display you have set up. Hope you have a lot of fun! I agree with Dawn, I wish I could drop by. I just know I would feel instantly at home with you in your space! Instead I am sending my best virtual wishes for your great weekend!